There is no doubt that the current trend in residential spaces are small facilities with a limited number of units, offering the solitude of a more private setting without sacrificing the amenities and features found in larger complexes. 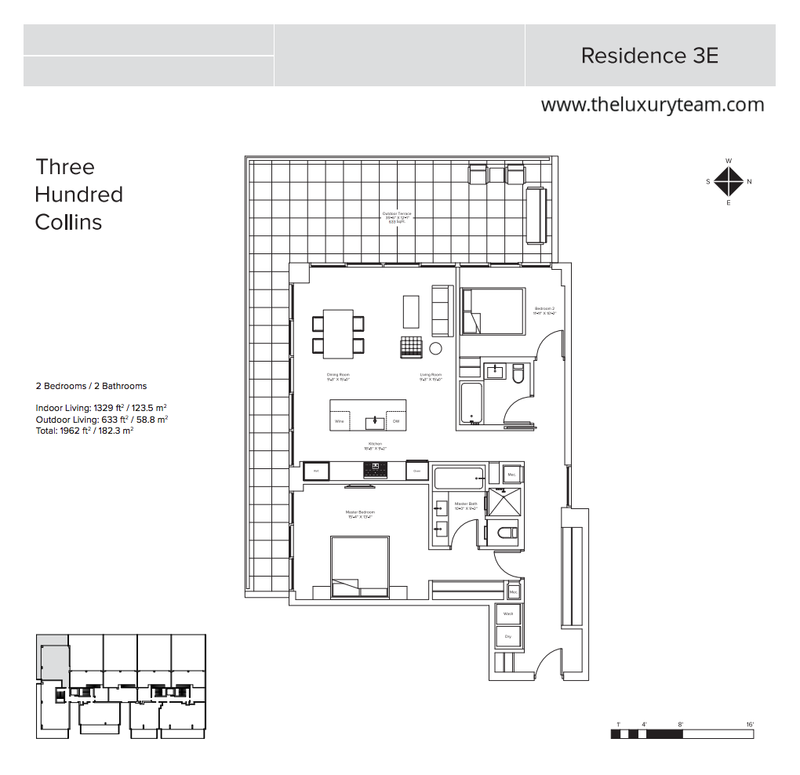 This is what 300 Collins, the latest project by JMH Developers and located at 300 Collins Ave Miami Beach aims to offer. 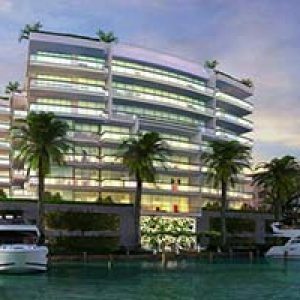 But there are also those who have moved away from the condo-style living and desire a more personal arrangement, choosing duplexes or more spacious penthouses. Well, 300 Collins offers that too! 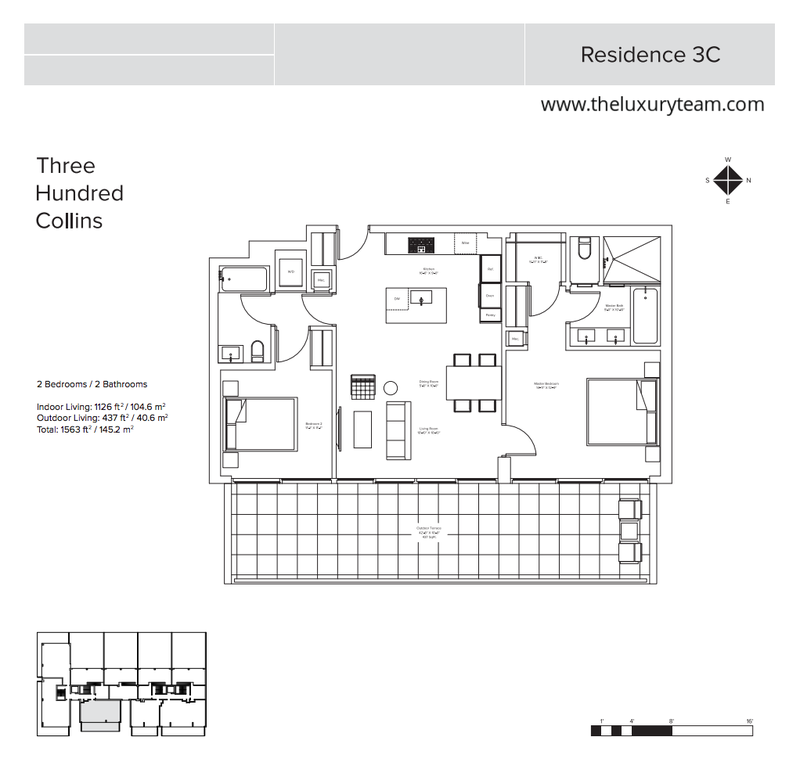 300 Collins is a 5 story structure and includes 19 units, available in 1 to 4 bedroom configurations including 4 duplexes and 3 penthouses. 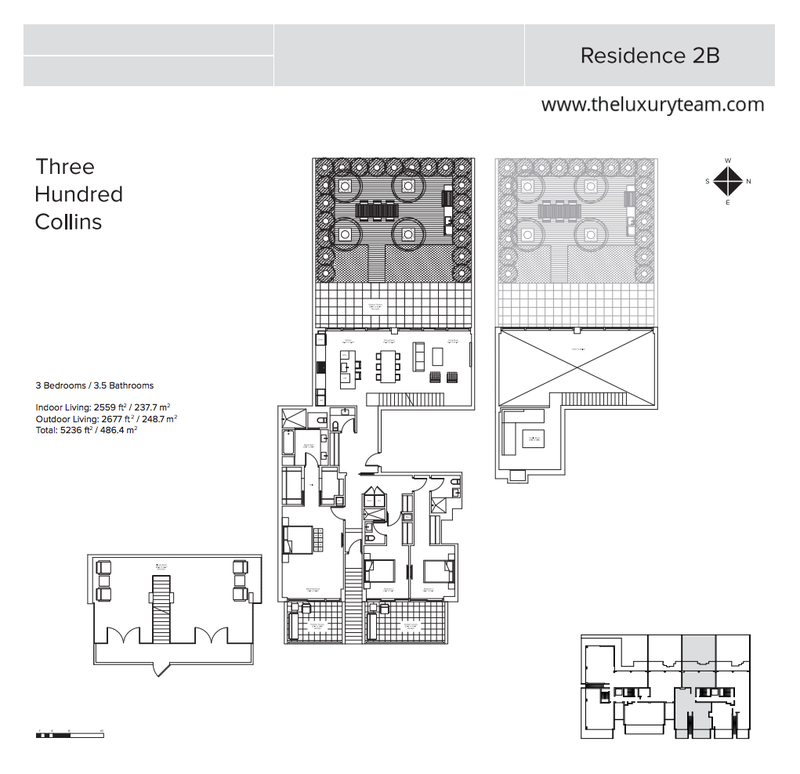 This means that by selecting 300 Collins you are truly able to pick a floor plan and layout which is best for you. Regardless of which unit you choose you will still enjoy all the finest amenities you expect to find with the best of luxury residences. A 24 hour doorman will greet you and your guests and ensure your safety, after valet staff sees that your vehicle is parked securely for the evening. The concierge will see to all your reservations, entertainment or dining needs whether you head out on the town, enjoy lite snacks on the beach, cocktails after a dip in the 70ft private pool, or need a fresh towel after using the state of the art fitness center. When you finally head to your new home you will enjoy wide open, column free living spaces complimented by high ceilings, floor to ceiling impact glass windows, hardwood oak floors, a custom kitchen with Miele appliances and marble finished bath with Hansgrohe & Vola fixtures. 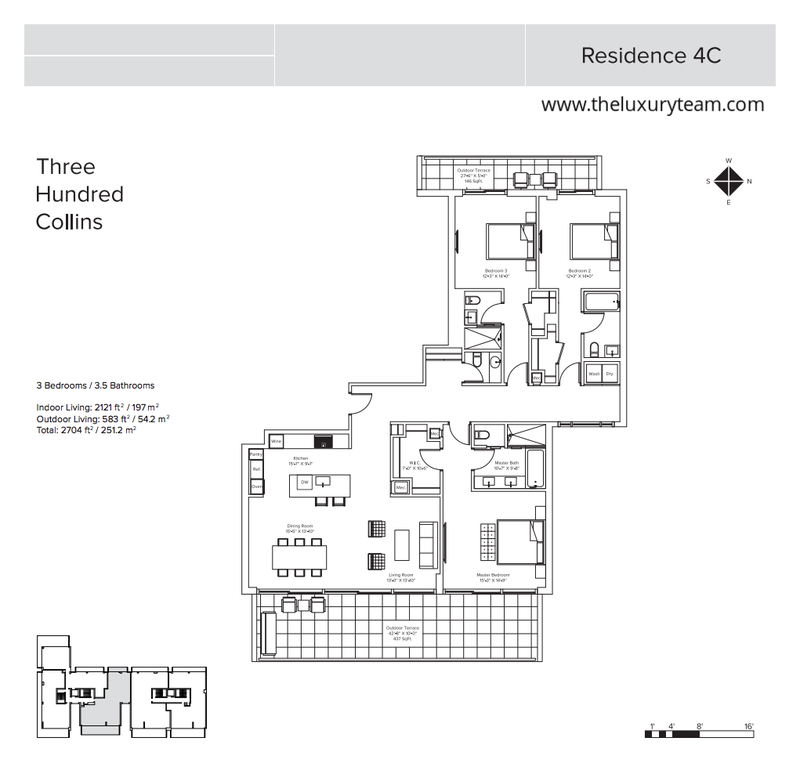 South facing terraces will provide the best views and allow you to enjoy the South Florida weather every day. When you do find yourself entertaining inside a state of the art audio and video system will make your house the place to be. 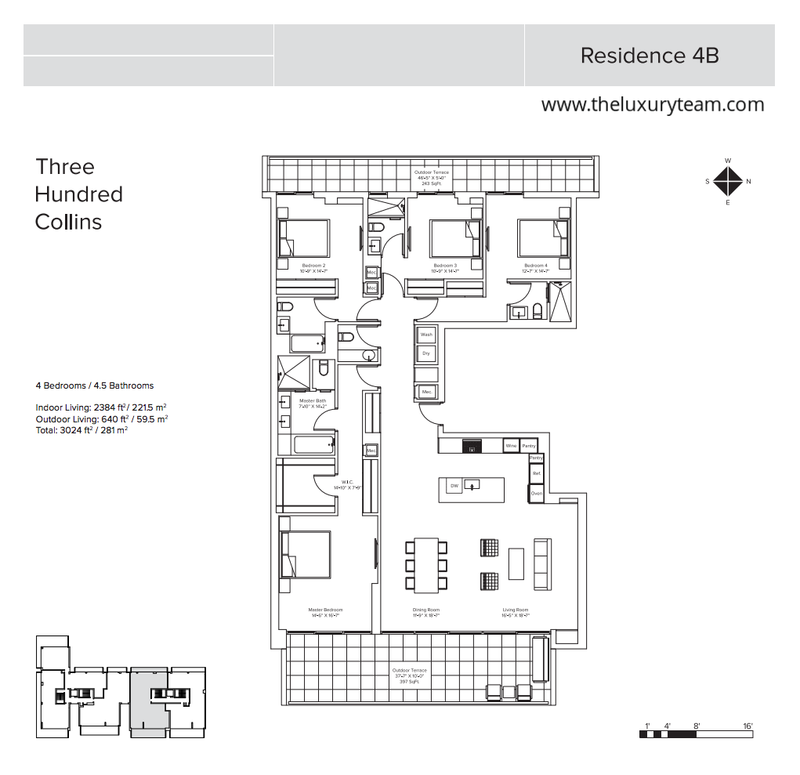 Townhouse residents will enjoy impressive 18ft ceilings, 1500 sq ft yard and a fully functioning outdoor kitchen. 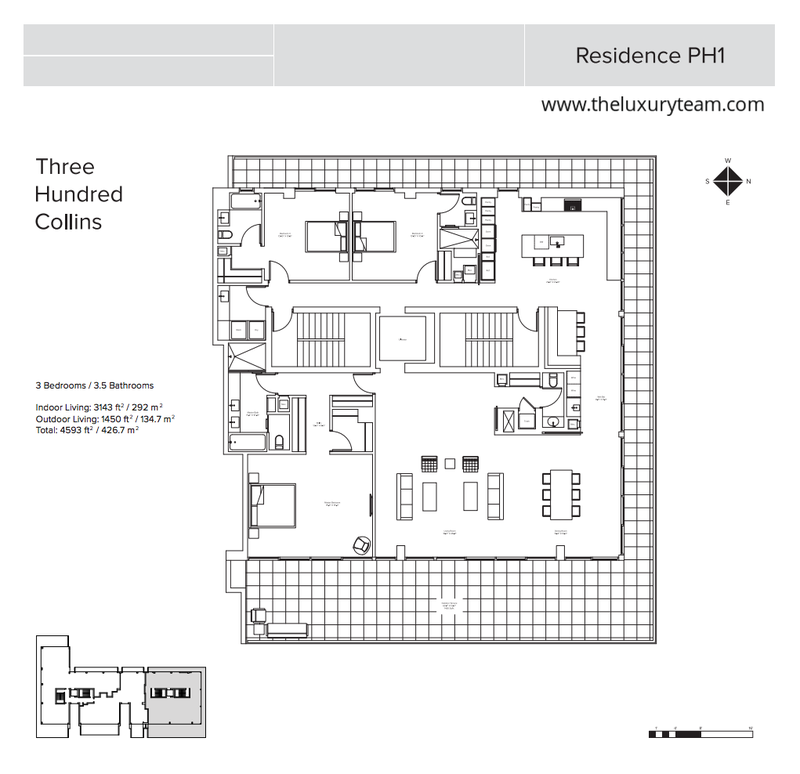 Penthouses will feature 9’-10’ ceilings throughout. 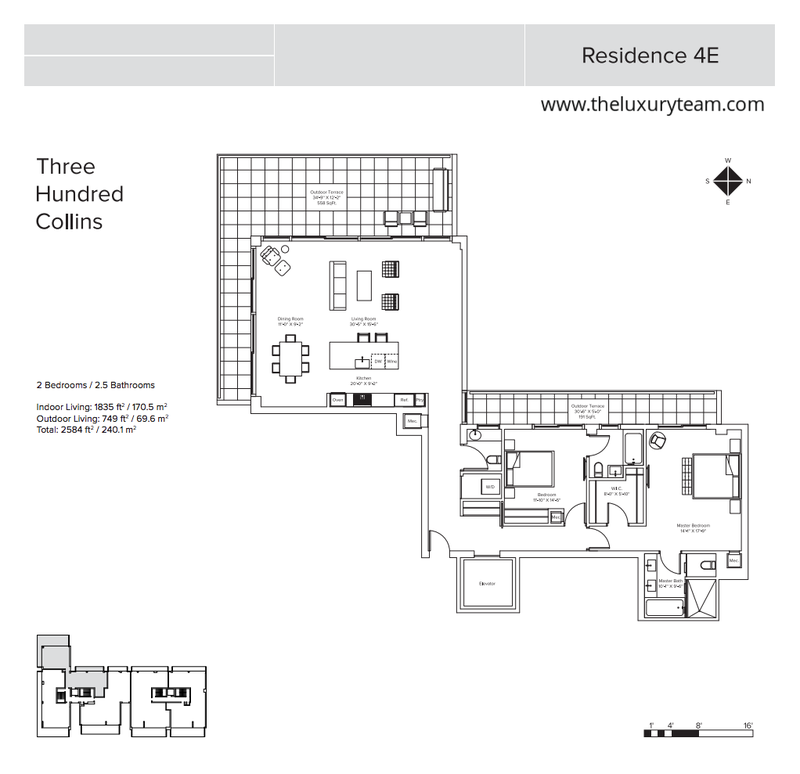 When you live in Miami Beach the local atmosphere is as much an amenity as any features your builder can provide, and by living at 300 Collins you will find yourself perfectly situated to enjoy the best Miami Beach has to offer. Located near the famous Fountainbleau, surrounded by fabulous beaches and steps from a wide array of high end boutiques, local artist’s own galleries and fine dining provided by some of the world’s most famous chefs means every day will provide a different opportunity to explore and enjoy the Miami Beach spirit. Travel throughout the local area and abroad will be easy and near hassle free thanks to close proximity to area highways, including 1-95 & US1, Miami International Airport and Amtrak stations. 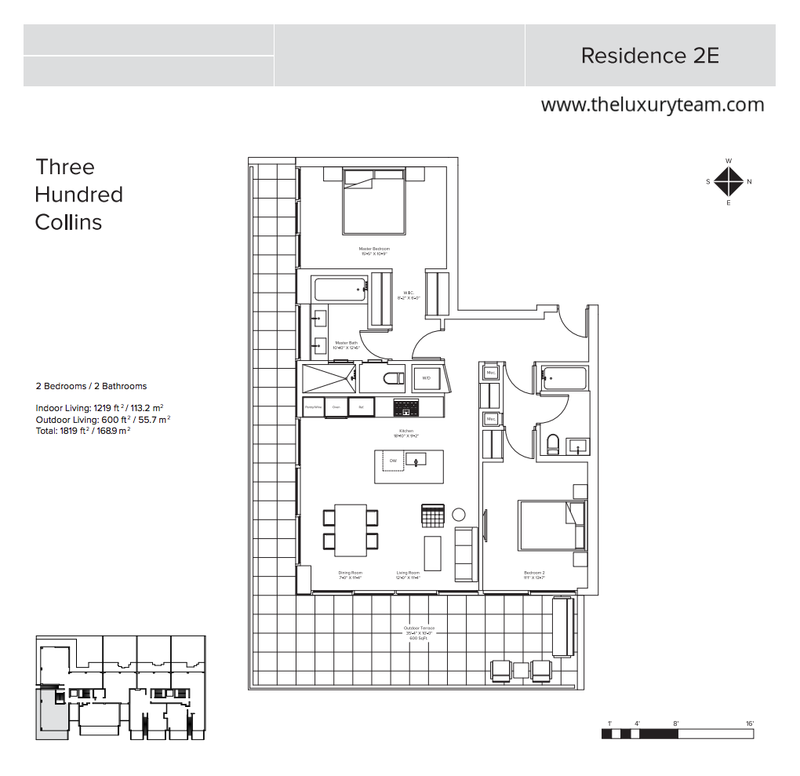 Although once you spend a few days at 300 Collins it is doubtful you will ever want to leave.